As Joseph Pearson poetically puts it in this rich look at one of Europe’s most fascinating cities: Berlin is a party in a graveyard. Europe’s youth capital, Berlin is also beset by sustained guilt for the atrocities that were ordered by its Nazi officers during the Third Reich. Built and rebuilt on the ruins of multiple regimes, Berlin in the twenty-first-century houses an extraordinary diversity of refugees, immigrants, and expats. 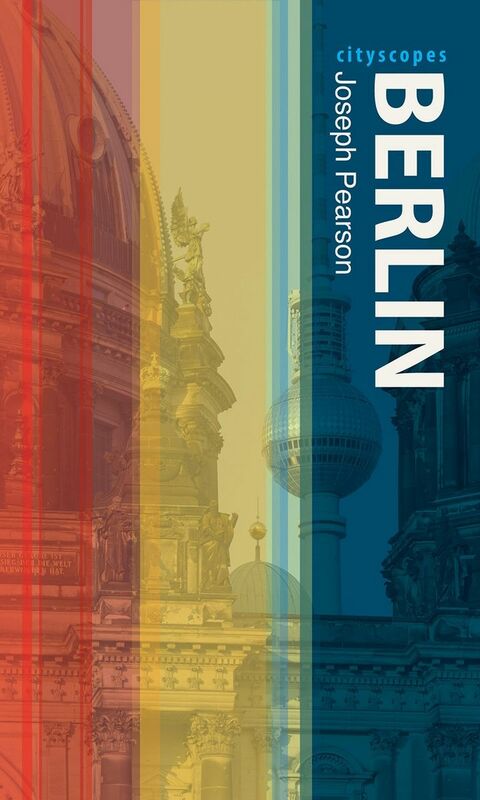 Offering a comprehensive but concise history, Pearson tells the story of Berlin’s past over nine centuries while also painting a portrait of the vibrant German capital today. Pearson describes the rise of Berlin from a small settlement surrounded by bog to one of the crucial economic and political centers of Europe. Berlin is a palimpsest of a cutting edge and dynamic modern culture over a troubled history, one that is visible in bombsites, museums, late-night clubs, and even a lake that allegedly hosts a man-eating monster. He ultimately shows how the city is imbued with an array of unnerving elements: emptiness, provincialism, ramshackle industrial eclecticism, lurid and lascivious counter-cultural expressions, and a tremendous history of violence—but also that these are precisely the sorts of things that give the city its unique charge. Posing one thought-provoking question after another, Pearson walks the city’s neighborhoods, peeling back layer upon layer of history in order to reveal a Berlin that few of us know. "Historian and Berlin blogger Joseph Pearson’s guide is the last word in explaining not only Berlin’s incredible history, but also its present day cultural situation. The stunning photographs, both period and contemporary, are some of the best we’ve seen. Although there is a very limited 'listings' section in the back, this is not meant for use by tourists on the ground. Instead, it is far better digested before a visit to Berlin and is even readable for leisure, and will undoubtedly improve your experience of the city when the time comes to visit." "An exhilarating account of Berlin as an angst-ridden, yet explosively creative city through historical analyses and personal anecdotes. . . . Passionately researched and finely written. . . . Cultural studies scholars will appreciate discovering previously marginalized historical figures and artifacts, students and everyday readers will gain fascinating insights into the cultural history of one of the world’s greatest metropolises, and aesthetic practitioners will find renewed inspiration in the transformative power of the arts."